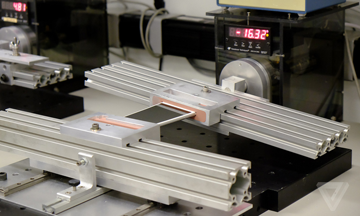 Shortly after releasing a statement regarding iPhone 6 Plus bending issues, Apple on Thursday invited journalists to take a tour of its normally off-limits "torture test" building, where the latest models are exposed to a battery of durability assessments. Apple reiterated that the iPhone 6 and 6 Plus have been thoroughly vetted in a trial by fire process, with some 15,000 devices going through testing before the designs passed muster, reports The Verge. "The iPhone 6 and the iPhone 6 Plus are the most tested," said Apple SVP of Hardware Engineering Dan Riccio. "As we add more and more features, we have to find out a way to break them before customers do." 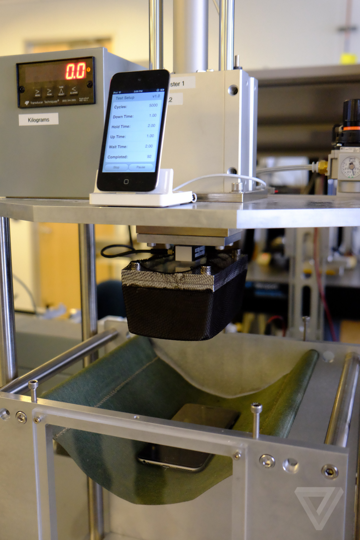 According to the publication, custom-rigged machinery puts products like the iPhone through various tests to simulate real world scenarios like sitting down with the phone in your pocket. Customers earlier this week began to complain of issues with the iPhone 6 Plus, saying that the handset flexes to the point of bending when proper pressure is applied. "We've designed the product to be incredibly reliable throughout all your real world use. And in designing that we then have to validate heavily, and see how does it live up to real world use, and what are the forces and pressures on it, and how do you measure and prove that you've delivered on a specification," said Apple marketing chief Phil Schiller. Schiller noted that users with bent or otherwise damaged devices can visit an Apple Store, where the product will be assessed and, if applicable, replaced under warranty. 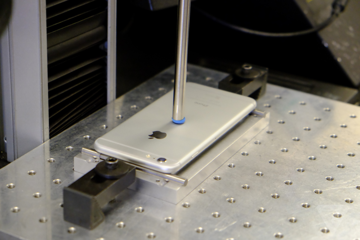 Re/code was also invited on the tour and reports seeing four tests in action, including a sit test, pressure point test, torsion test and three-point bend test, the latter of which proves iPhone 6 can carry at least 25 kilograms of weight focused on the center of the device. 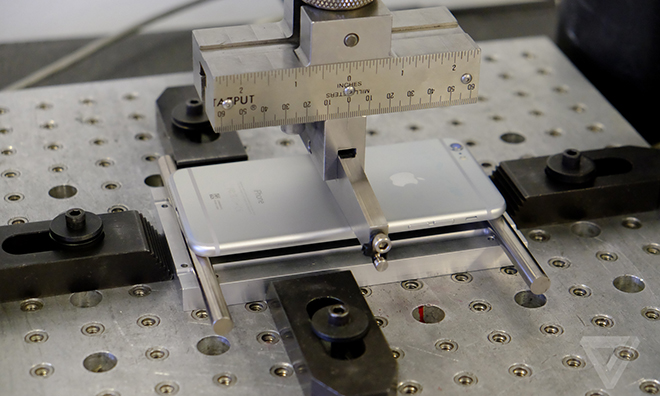 The 6 can actually withstand more pressure, but Apple declined to offer specific numbers. As noted by The Verge, the last time Apple brought the media into a test facility was in 2010, shortly after the iPhone 4 "Antenna-gate" kerfuffle. At the time, late company cofounder Steve Jobs demonstrated the handset's radio capabilities in an anechoic chamber. While "Antenna-gate" warranted a special press conference, the recent iPhone 6 Plus issues are seemingly less pronounced as Apple said earlier today that only nine reports of bent iPhones have come in since launch. 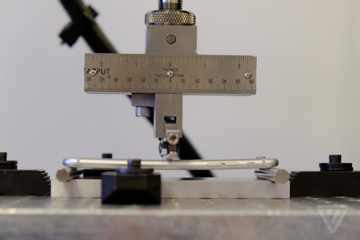 "The bottom line is that if you use enough force to bend an iPhone, or any phone, it's going to deform," Riccio said.